Hello everyone! Today, I have a special treat to share with you from my travels over the past couple of months, and as you can see it is from the beautiful real-life fairytale town of Hallstatt, Austria! 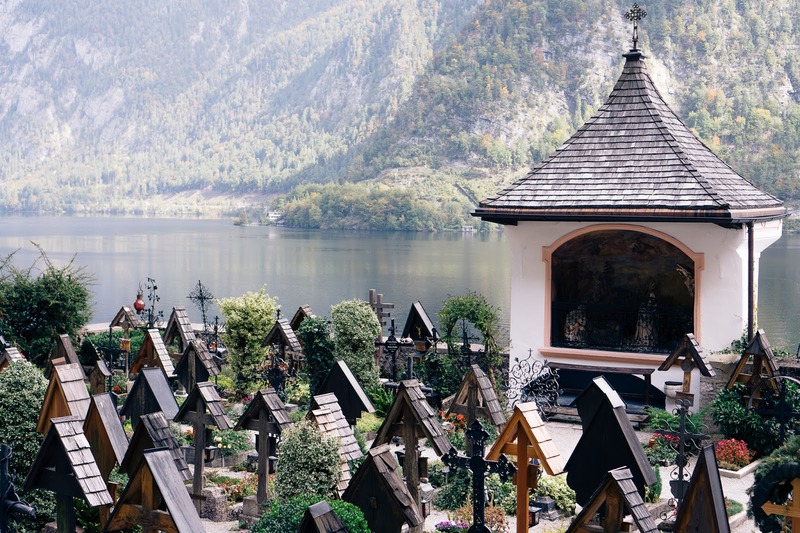 It is hard to believe that a place such as this one actually exists in real life and not only in Disney movies. My inner child was screaming and my adult self was marveling at the beauty of this place. 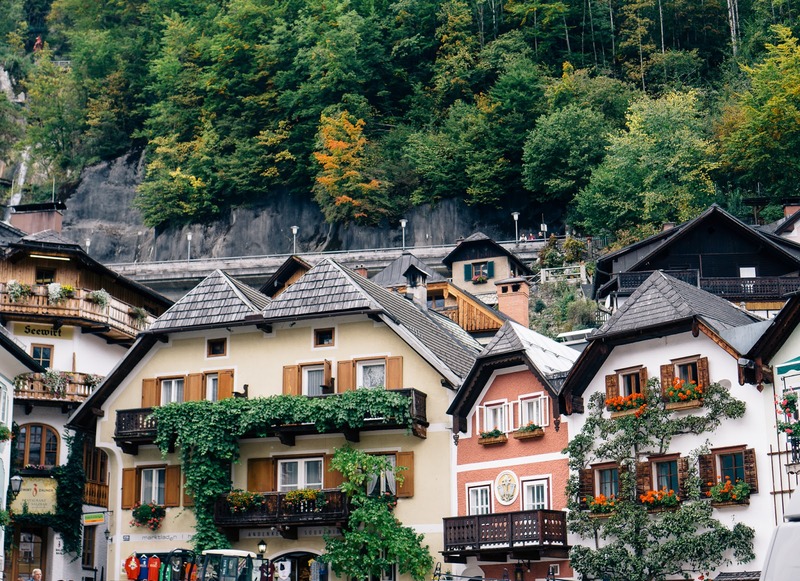 The trees on the mountains surrounding the town and lake were filled with green and autumnal colors, and the buildings in the town truly look like they stepped out of a fairytale book. I love unique architecture, and it is even better when there are flowers draping down from every windowsill. I wish I could say that the pictures do it justice, but they simply do not! 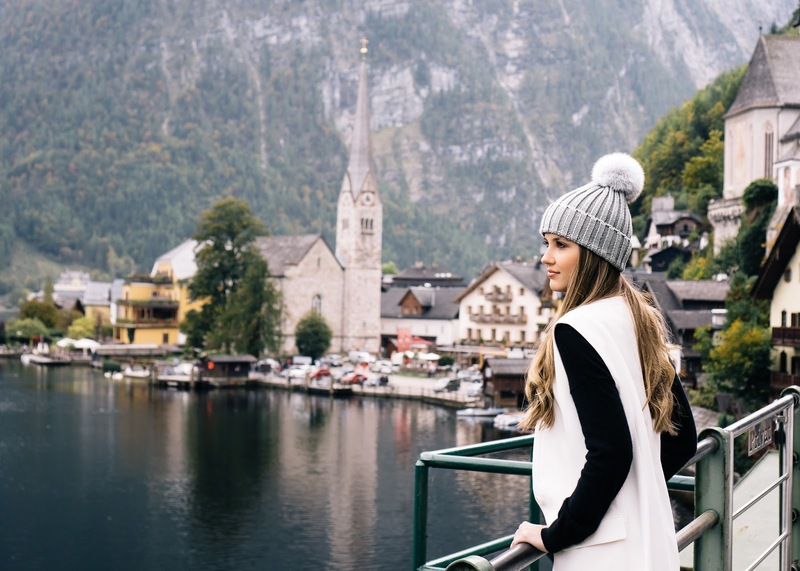 To truly experience the magnificence of Hallstatt, you have to journey there yourself. 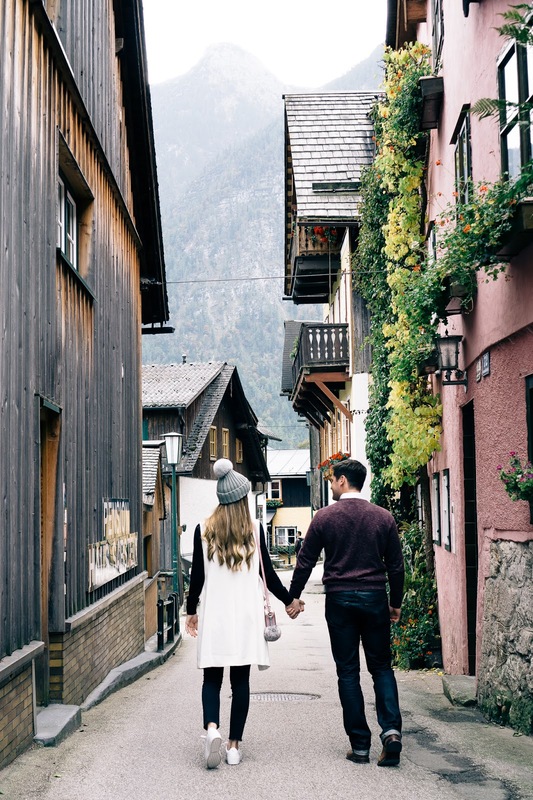 Breathing in the crisp mountain air, feeling the breeze while cruising the lake, and just wandering through the narrow alleyways and hills is worth more than the images captured. Although, I must say I quite like those too. 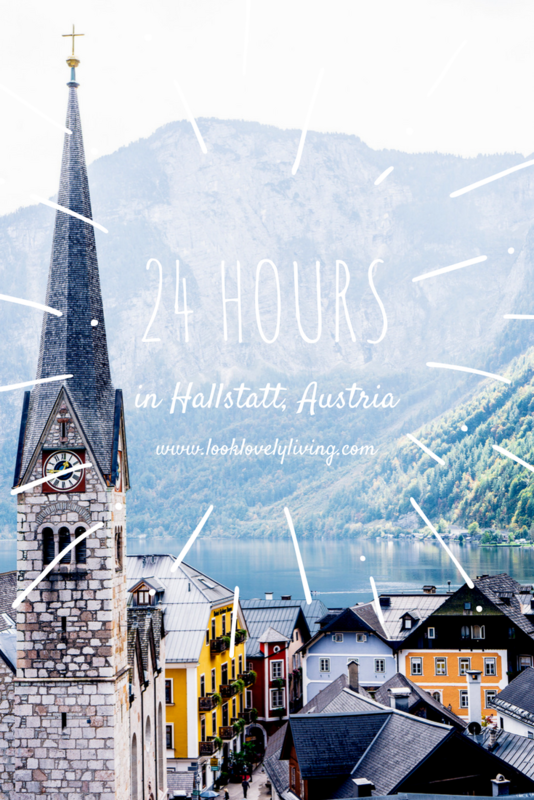 ;) If you're not already heading to the nearest airport, I am going to share with you my little travel diary from our 24 hours spent in Hallstatt, Austria. 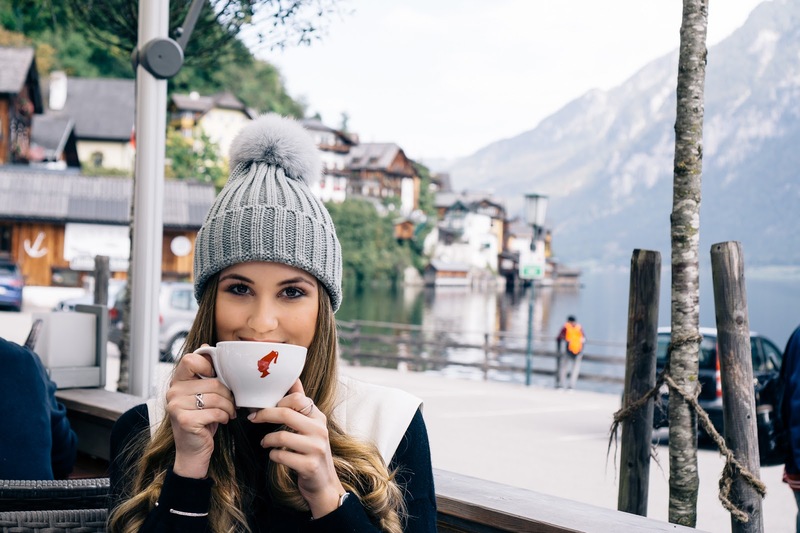 Jay and I only spent 24 hours in Hallstatt, and while you can easily see everything within the 24 hours, we wished we could have spent one more day just to relax, drink lattes and spend time together exploring the beauty of this place. 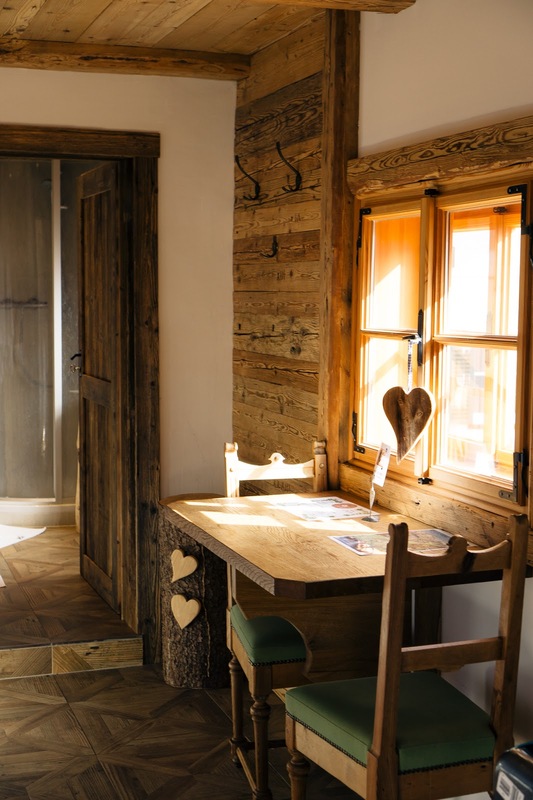 We stayed at the Aichbergersche Haus (Airbnb), an adorable pink wooden cabin, which was so cozy and cute! There were a lot of windows and a little outdoor balcony with views of the surrounding homes and mountains. 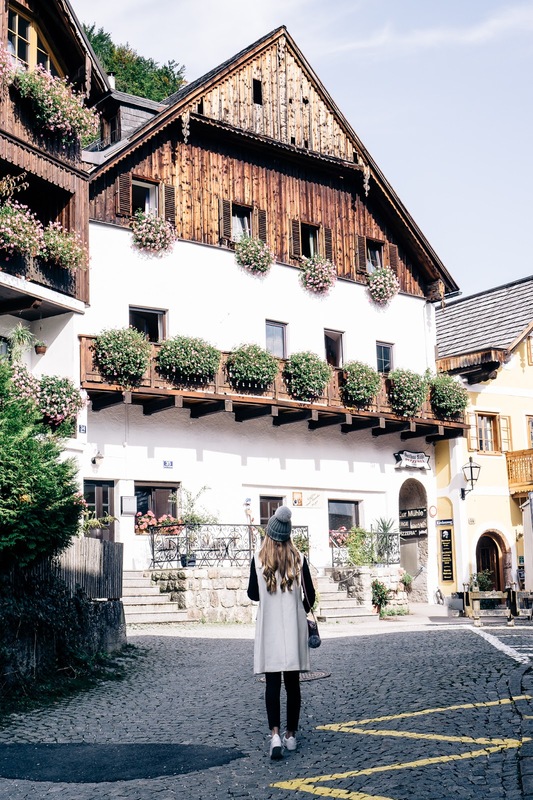 We started out our day wandering around the narrow streets and alleyways in the Old Town, admiring the unique homes that fill the mountainside. 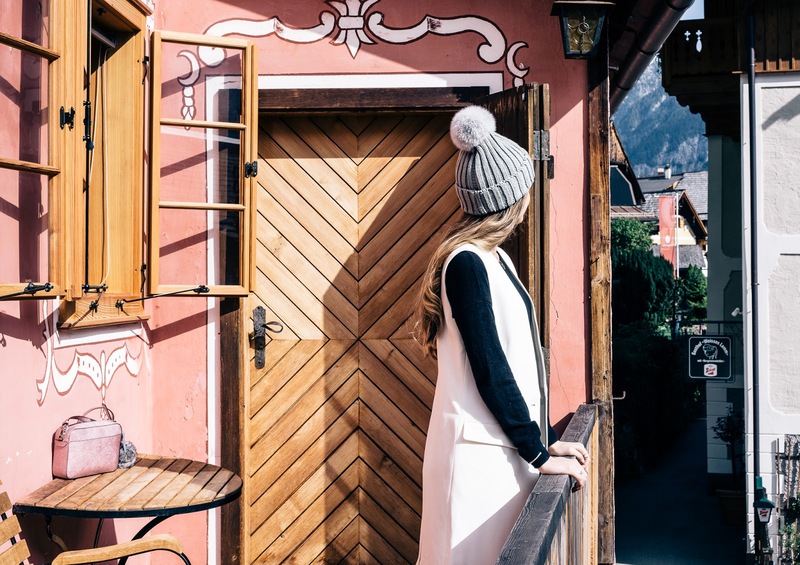 Be sure to take a walk through the Central Square Marktplatz, which is the perfect place to get a few Instagram shots. Unfortunately, there was a bit of construction in the square while we were there, but we still got to see it and took several Instagram worthy images on every street and corner! 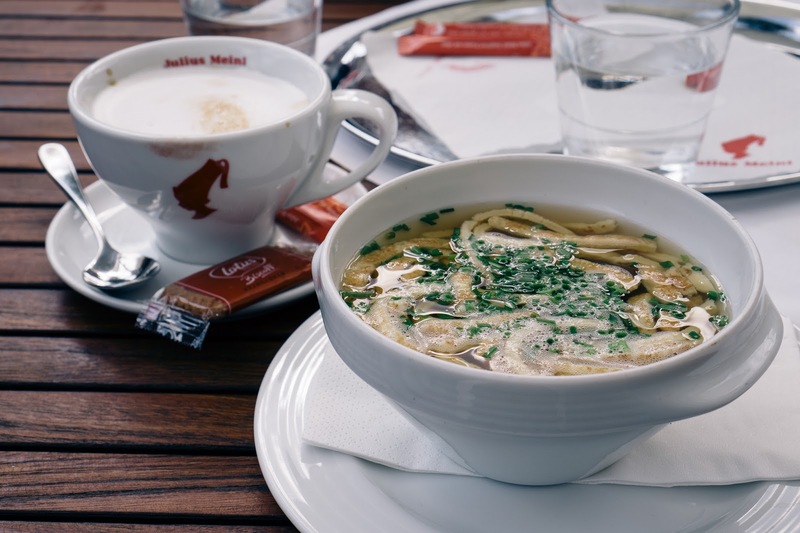 After wandering around for a bit we grabbed a melange (basically an Austrian cappuccino) and a bite to eat along the water where we tried an Austrian soup that has strips of pancakes in it! Yep, pancakes! 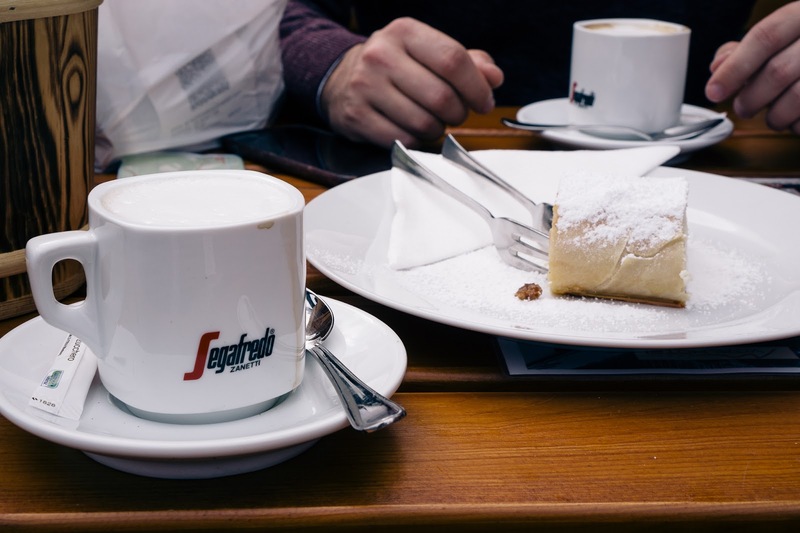 One of my favorite things about traveling is experiencing and trying new things - especially when it comes to food! 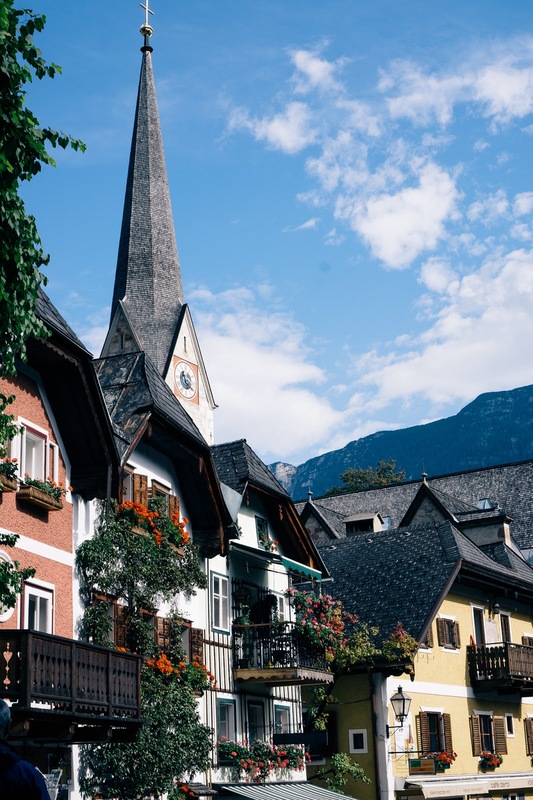 After eating, we wandered around the gift shops and bought your typical souvenirs (mugs and ornaments), but also brought home some natural soaps and specialty salts made in Austria. 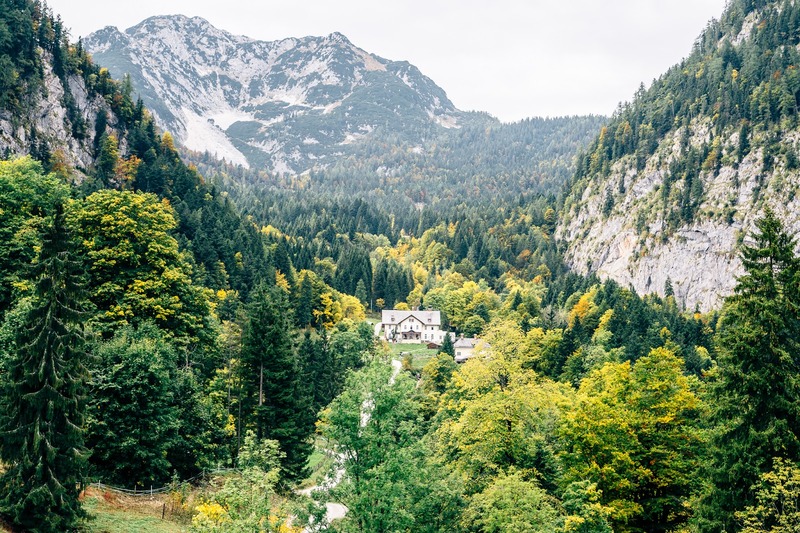 Austria is known for its salt mine, so feel free to ride the funicular up the mountain to visit, but Jay and I decided to skip the salt mine. 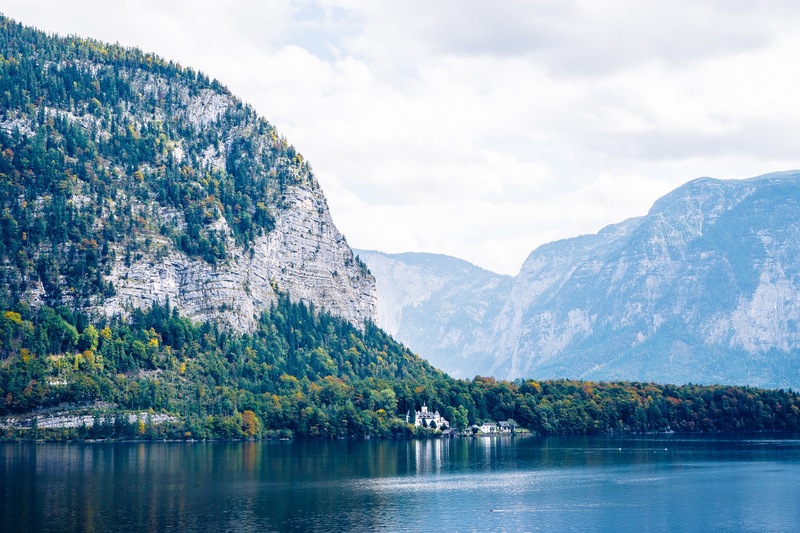 Instead, we visited the skywalk and a restaurant, where we enjoyed a melange and cheese curd strudel (another Austrian favorite) with a view overlooking Hallstatt, the Hallstatter See and the Salzkammergut mountains. 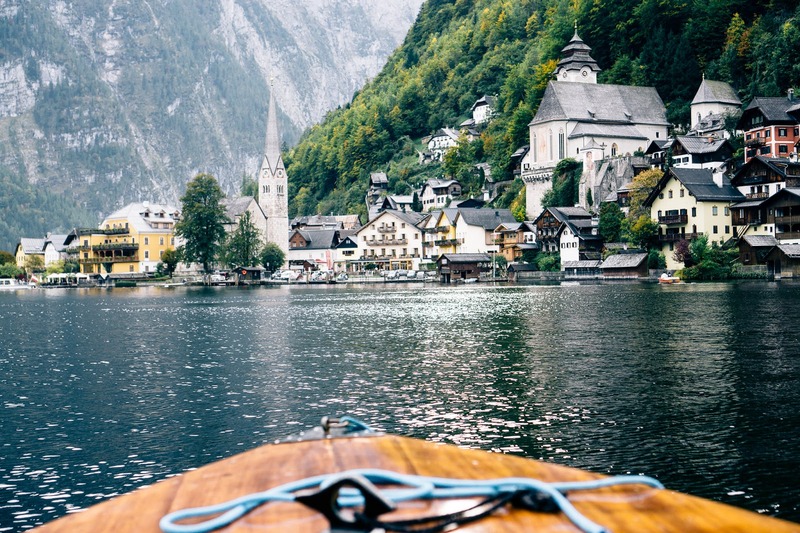 After our descent down the mountain, we then rented a boat for a half hour to cruise along the Hallstatter See. This was without a doubt our favorite part of the trip! There was only one other boat on the lake, so we were able to really enjoy our time together and enjoy the views surrounding us. 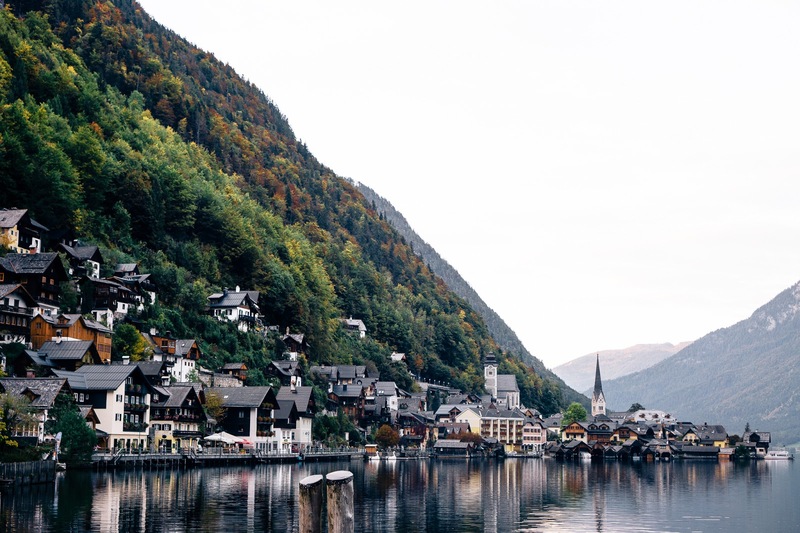 Also, for those of you who love taking scenic photos, I got all of my best shots of Hallstatt while on the lake. 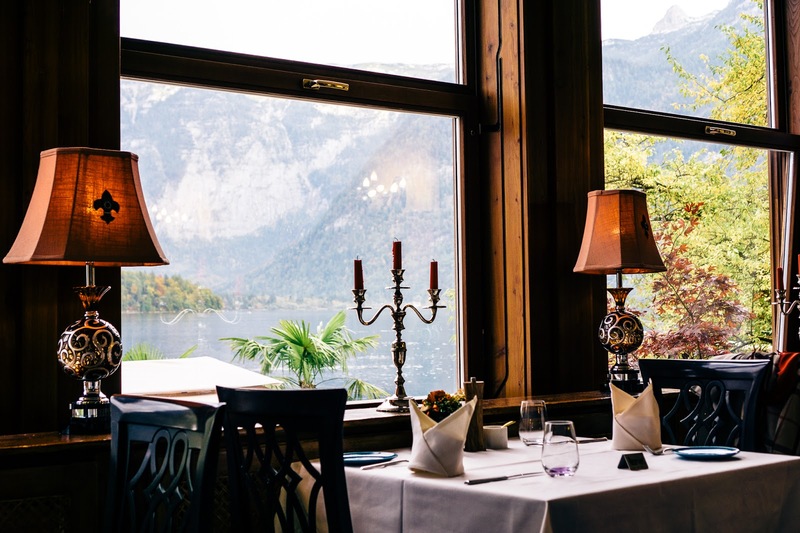 After our boat ride we finished off with a candlelit dinner overlooking the lake at the Seehotel Gruner Baum, where I indulged in schnitzel (a classic Austrian dish) and Jay enjoyed a seafood dish! 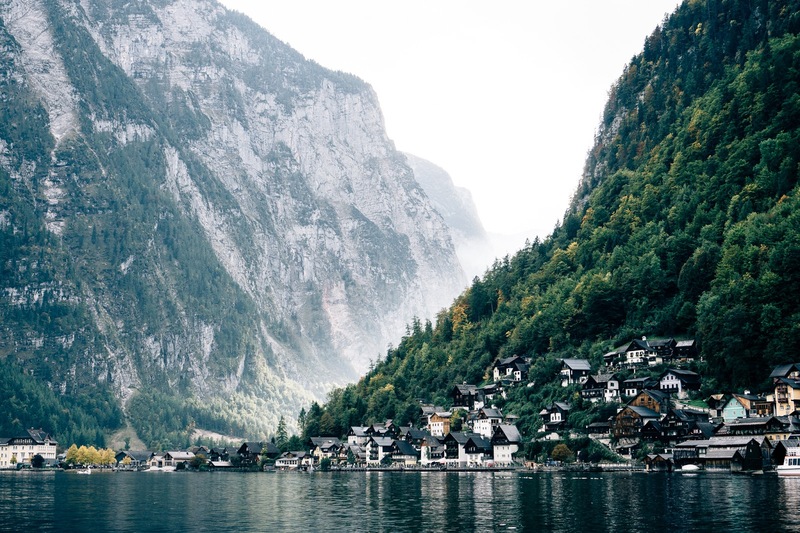 Hallstatt, Austria is truly a fairytale, and I highly recommend for anyone to travel there. 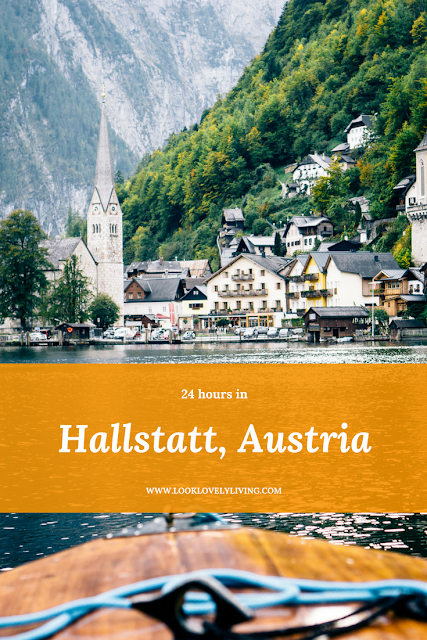 I hope that this travel diary gives you an idea of what you can see/do in 24 hours, but like I said before, I could definitely spend more time here just to enjoy the scenic beauty of Hallstatt! I'm seriously swooning over your pictures! What kind of camera/lens did you use? 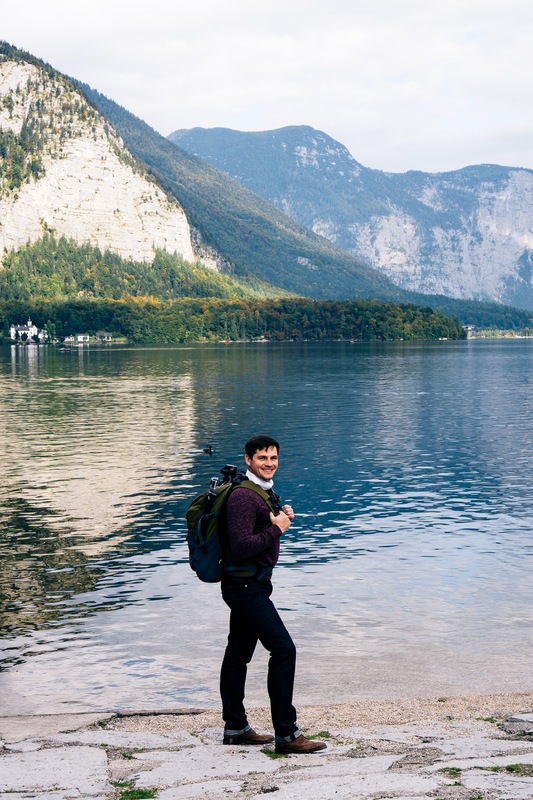 Do a post about how to take pictures when traveling!!!!! !